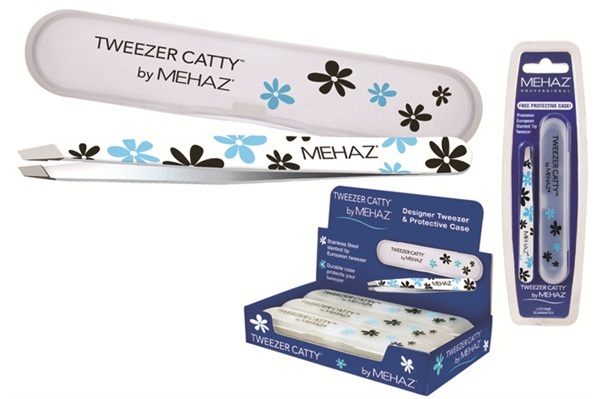 Mehaz introduces a new Tweezer Catty design that features precision stainless steel with professional-quality performance. It comes in a durable patented case that protects the tweezer and keeps it clean. The product is perfect for travel and meant to be stored in a purse or cosmetic bag. It’s also available in a compact six-piece counter display.